Sub-Mariner este erou in “The End of the Quest!“, scenariu de Stan Lee, creioane de Gene Colan (“Adam Austin”), cerneala de Vince Colletta. Hulk este erou in “Not All My Power Can Save Me!“, scenariu de Lee, creioane de Jack Kirby, cerneala de Mike Esposite (ca “Mickey Demeo”). 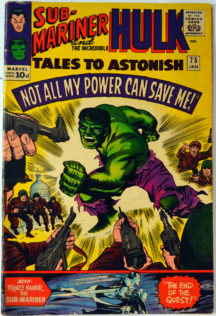 Ce se intampla cand Hulk este impuscat de T-Gun, arma construita de el pe vremea cand era (inca) doar Bruce Banner? Fii martor al procesului de transformare al lui The Hulk! 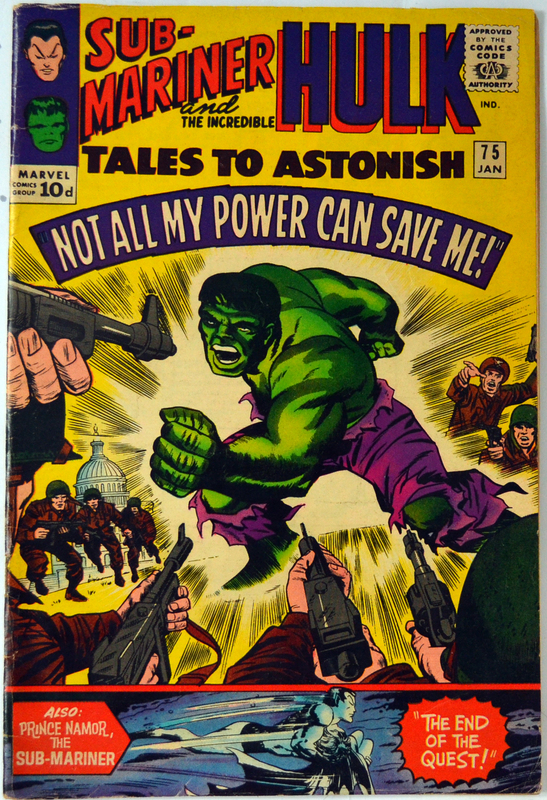 Be the first to review “Tales to Astonish 75” Click here to cancel reply.